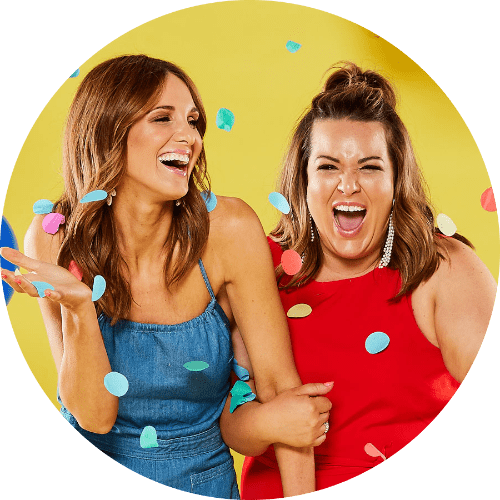 The work of the Hutt St Centre is second-to-none, and is such an important support system for people that find themselves in an unexpected and scary situation. 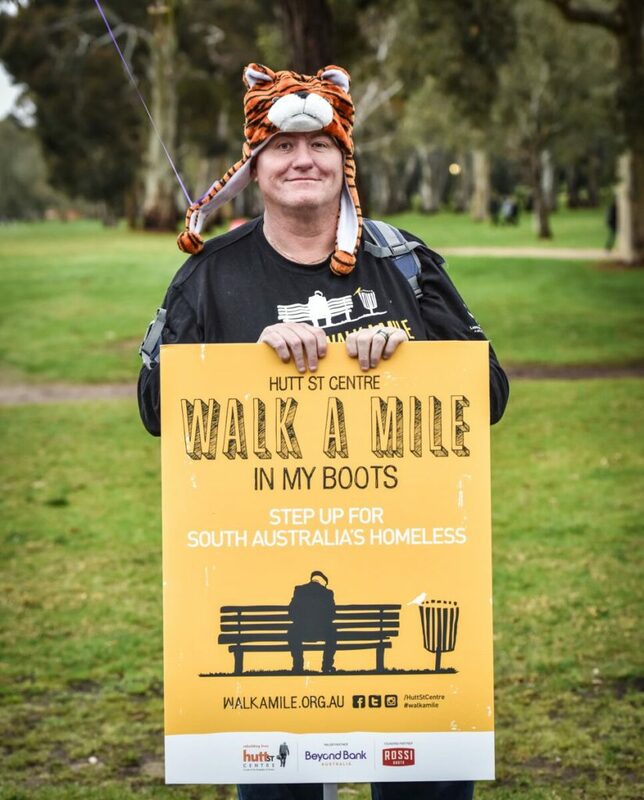 To support The Hutt St Centre, sign up to Walk A Mile In My Boots, Friday August 10 and do your part to help 6000 South Aussies experiencing homelessness. Annika, tell us your story – how did you find yourself in this situation? 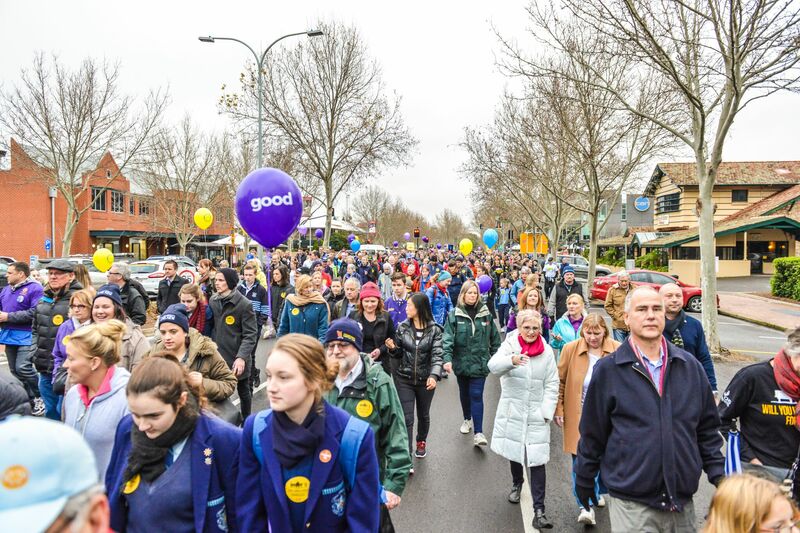 I was living in a good suburb, with my partner and our eight year old daughter. My partner has suffered a traumatic brain injury, so I’m the primary carer of our daughter. Earlier this year we experienced a home invasion – by our own private landlord. This was extremely traumatic for all of us, as we were all home at the time. I immediately fled, fearing my safety, and the safety of my family. My number one priority was to keep my daughter safe. With no other options, we went straight to a motel – which we paid for ourselves entirely, but we knew this could only be a temporary solution because eventually funds would run out. We moved from the motel to my partner’s mother’s flat in an aged care facility, but it was far too cramped for all of us to live there, so I called the homelessness gateway out of desperation as I knew we couldn’t afford to keep paying to live in a hotel, and we couldn’t keep living in these cramped conditions. 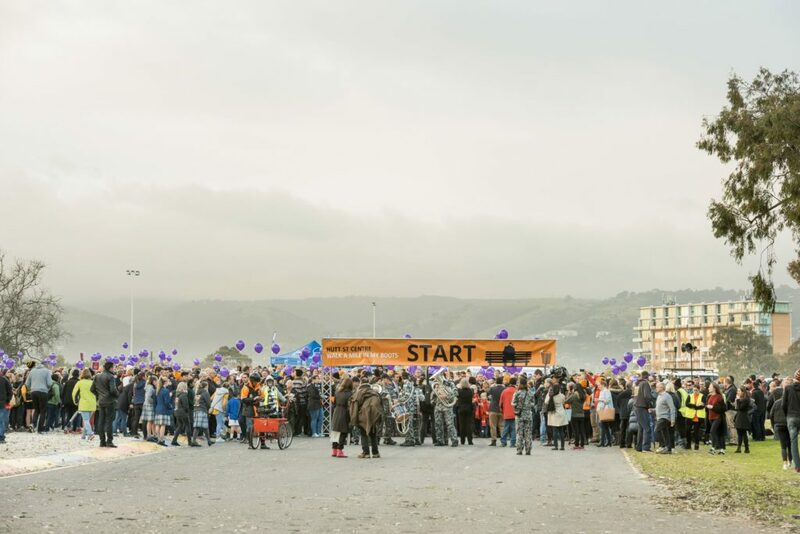 I found out about Hutt St Centre through the homelessness gateway, and the next day I went in and spoke to a case manager who arranged emergency accommodation for me and my family, while we sorted out what to do next. This was such a difficult time for us all, as we were still dealing with the trauma of the home invasion, and now the added stress of running out of money, and not having anywhere to go. How did you explain to your daughter what was happening? I always made sure that my daughter knew that everything would be fine, and we would do everything we could to keep her safe. She was there during our home invasion, so she understood our sense of urgency to leave, as she was scared and traumatised from the event too. She’s eight years old, and she’s really switched on. I made sure she knew that our situation was temporary, and soon she would have her own room again soon, but going back to our old house wasn’t an option. I worked hard to keep her happy, distracted, and did everything I could to reassure her that she was safe. The hardest part was the trauma that we all suffered from the home invasion. It’s difficult to recover quickly from an incident like that. It was hard living in the emergency accommodation because it meant my daughter had to move schools, and it was unfair on her to put her through that. The uncertainty we had before we reached out to Hutt St Centre was really frightening, but luckily, once we were receiving support, I was able to talk to my worker every day. This was incredible – it really kept me going each day. I don’t know what I would’ve done without it. How do you respond to those people that say “it’s just not possible to go from a comfortable life to homelessness”? Homelessness can happen to anyone. Life hands you things that are out of your control, and if you suffer from a traumatic incident, then your whole life can be flipped upside down. I wish people weren’t so quick to judge, just looking at the negative, or reasons to blame people for their circumstances. We had a situation that was out of our control. We didn’t intend to have to rely on a homelessness service, but we didn’t have the funds to continue paying to live in a hotel, so we had to turn to Hutt St Centre. We had no other option. At the end of the day being in this situation and going through the trauma my family went through and the circumstances had nothing to do with negative stereotypes of homelessness – things like drug and alcohol abuse, rent arrears etc. it just happened. Going through this made me realise the importance of services like Hutt St Centre for those that are in similar situations. There needs to be more government support to these organisations. More focus needs to be placed on mental health, and more funding into supporting facilities to help those that are living on the streets. The truth is, the majority of people who become homeless have gone through something traumatic themselves, and need support to get through it. Every story is different and people need support to lift themselves out of tough times. How has Hutt St Centre helped you, and what can people do to support Hutt St Centre? The support we received from Hutt St Centre gave us the right to safety, and a roof over our heads. If we weren’t able to stay in the emergency accommodation that they helped us with, I don’t know what we would have done. We stayed at the emergency accommodation for about 12 weeks while we sorted everything out. I spoke to my social worker from Hutt St every day – I know this support is what helped me keep going. Just hearing the words of positivity and encouragement made me feel like everything was going to be okay. As a family we went from being scared, traumatised, and lost with no hope on what our future held. From there – in just a short time of hacking it out in hotel accommodation, with no money and struggling to make ends meat – we moved into a new house of our own, in a great area. We’ve now signed a 12-month lease on our place, and have been offered the opportunity to buy our house in the future. This is such an exciting goal for us to work towards. My daughter has started at a new school, and is happy and making new friends. Life is back on track and we are feeling positive about our future. Life is feeling stable and positive again, now that this terrible experience is over and we have a house and security again. Our future is looking really positive. 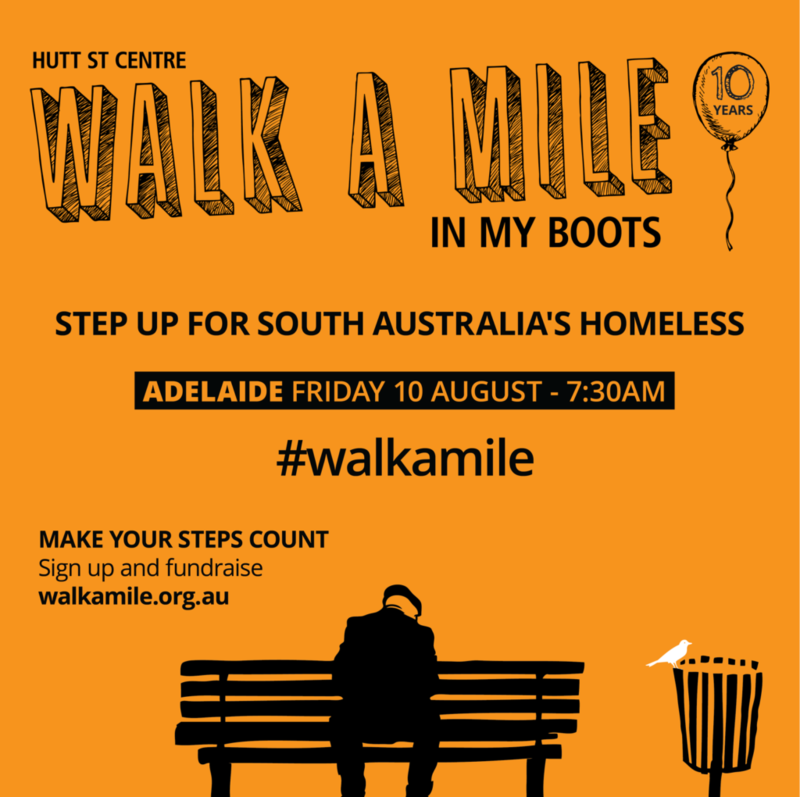 TO SUPPORT THE HUTT ST CENTRE, SIGN UP TO WALK A MILE IN MY BOOTS – TAKING PLACE THIS FRIDAY, 10TH AUGUST 2018.